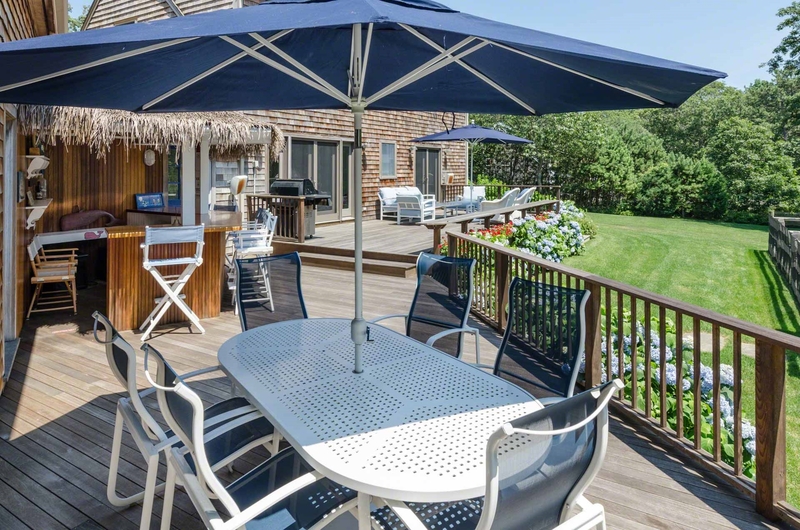 **SAVE $1000 OFF AVAILABLE JULY WEEKS + FREE FERRY TICKETS - CALL NOW TO BOOK** Point B Exclusive - This deluxe Edgartown Compound is designed around grand outdoor living and entertaining, with a heated pool and hot tub, stone patio, Tiki Bar, decks, pool house, and both a Main House and connecting Carriage House that wrap around the outdoor space. 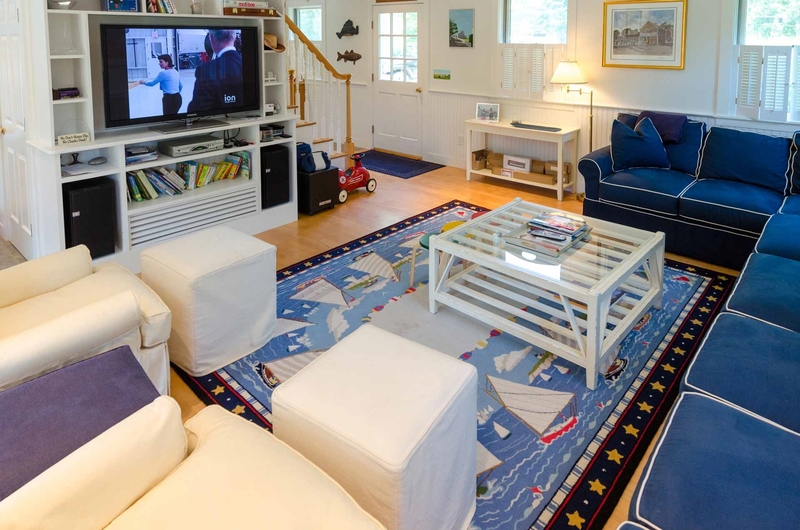 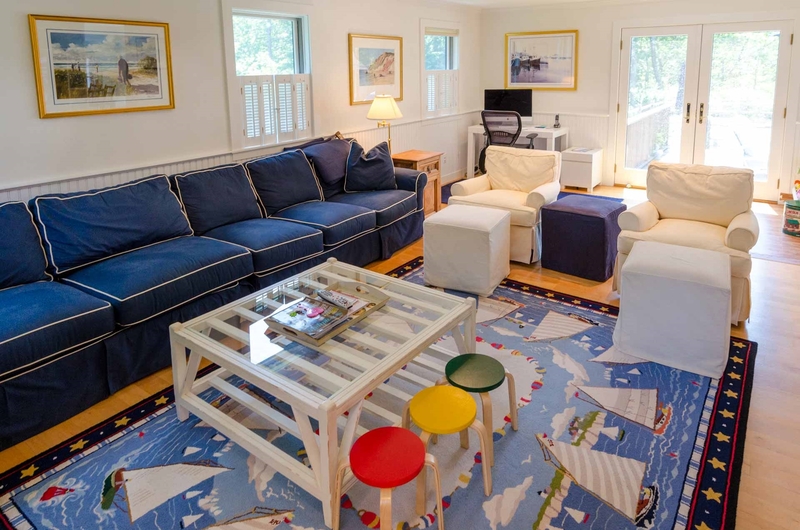 With beachy style throughout, the first floor of the Main House features a Living Room with media center and sectional seating, plus French doors that open to the decks and pool area. 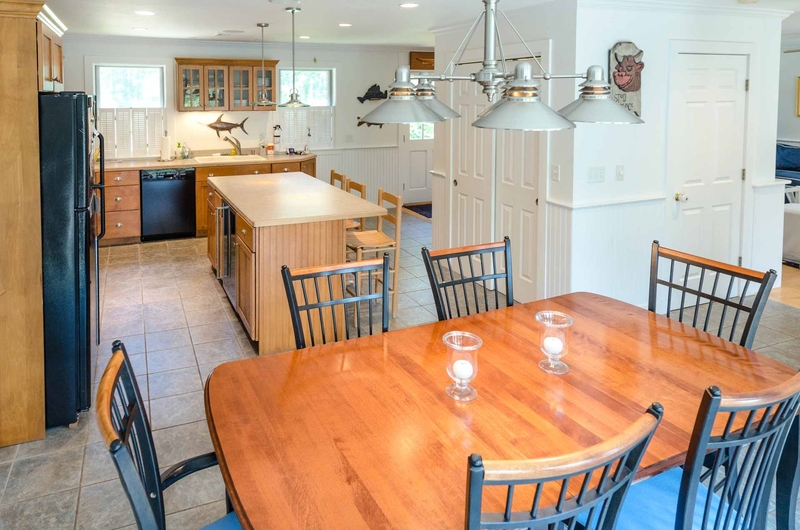 There is a connecting Dining Area and open Kitchen that also have French doors to the decks and Tiki Bar. 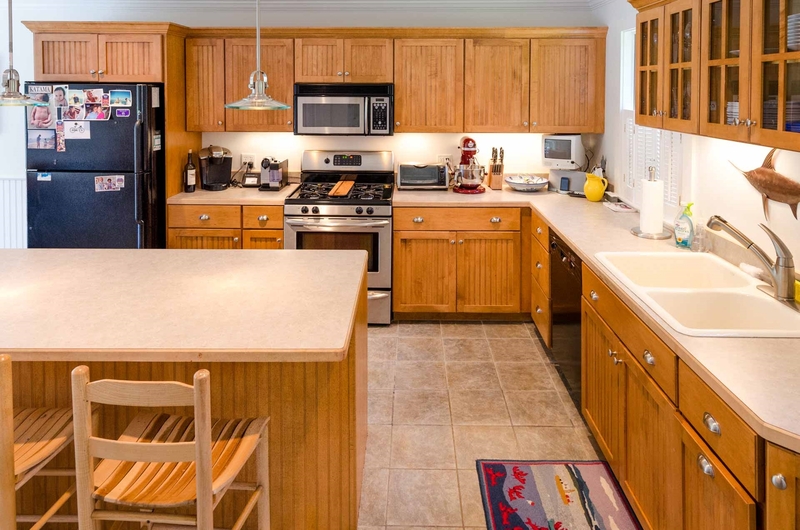 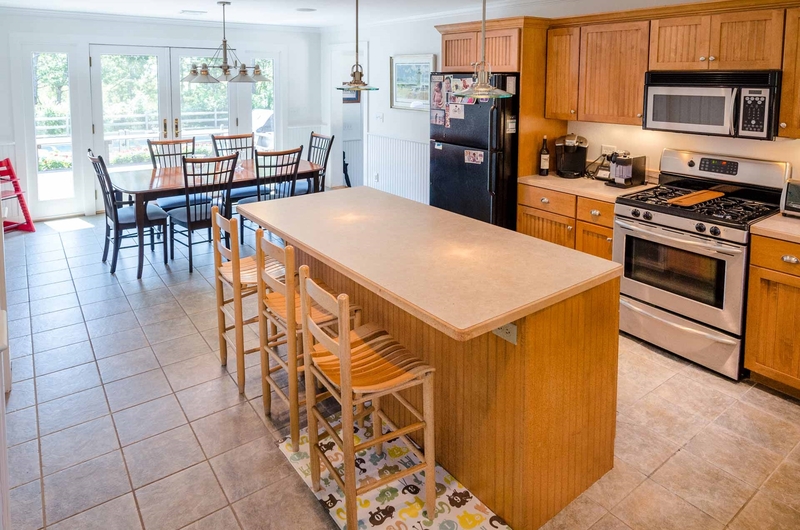 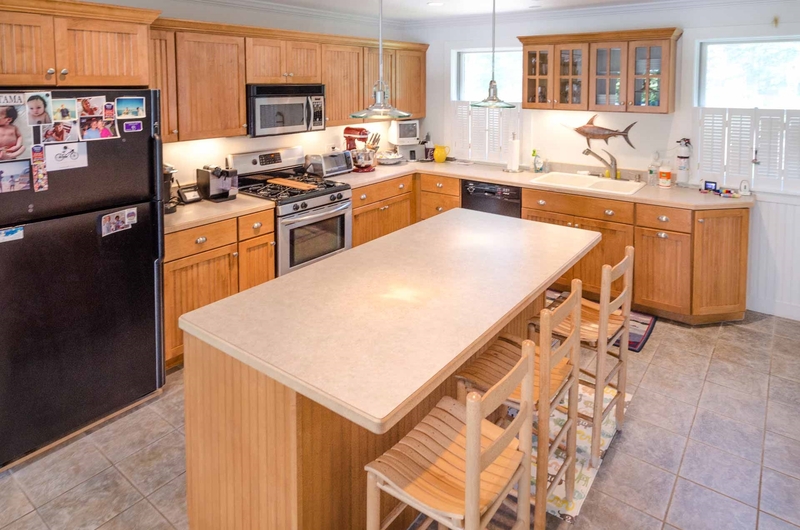 The Kitchen has a center prep island/breakfast bar and plenty of room for cooking. 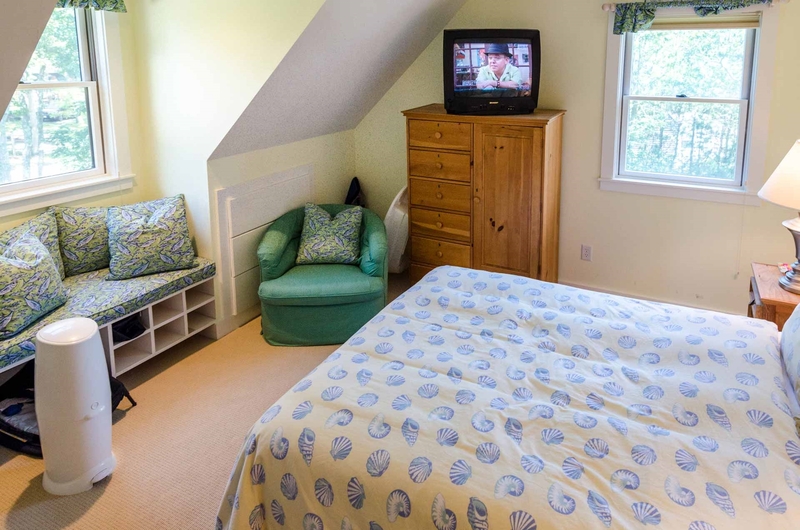 The Main House bedrooms are all up on the second floor. 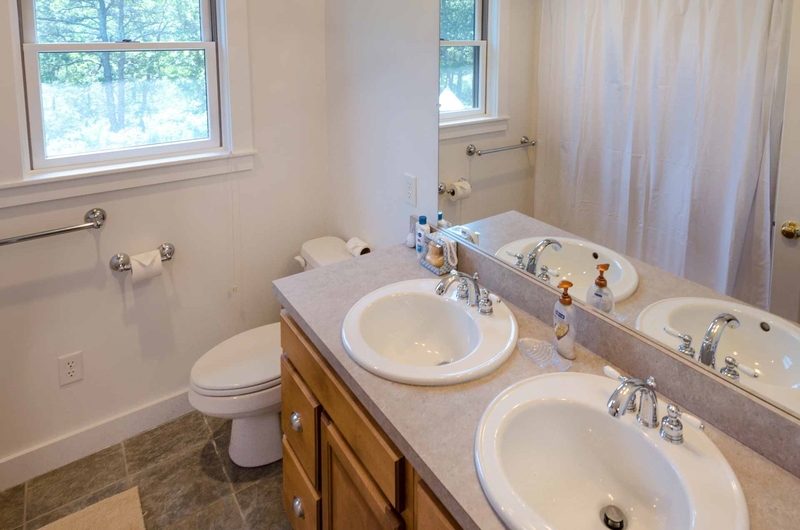 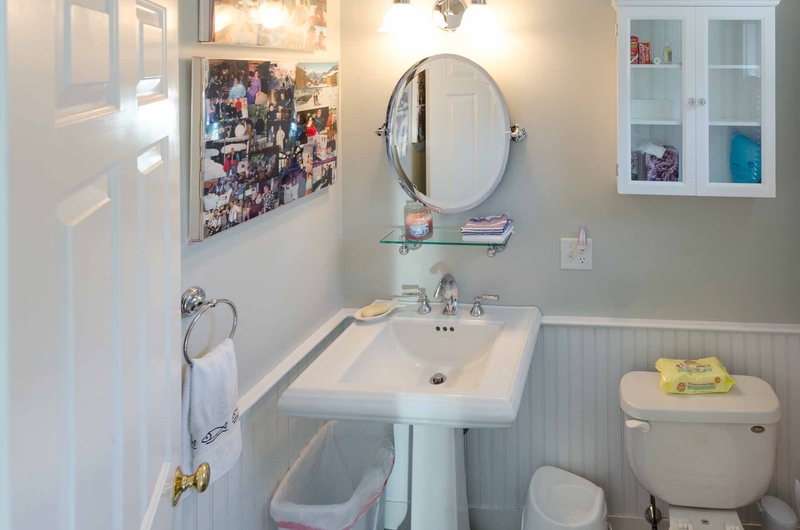 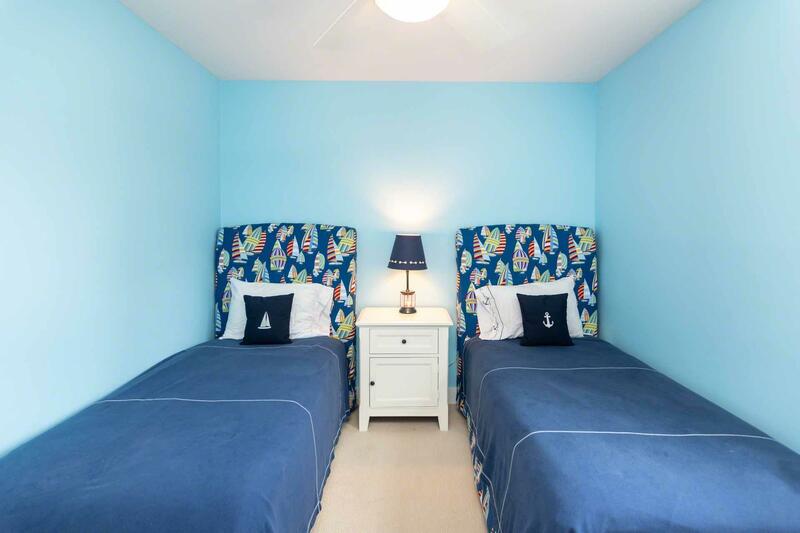 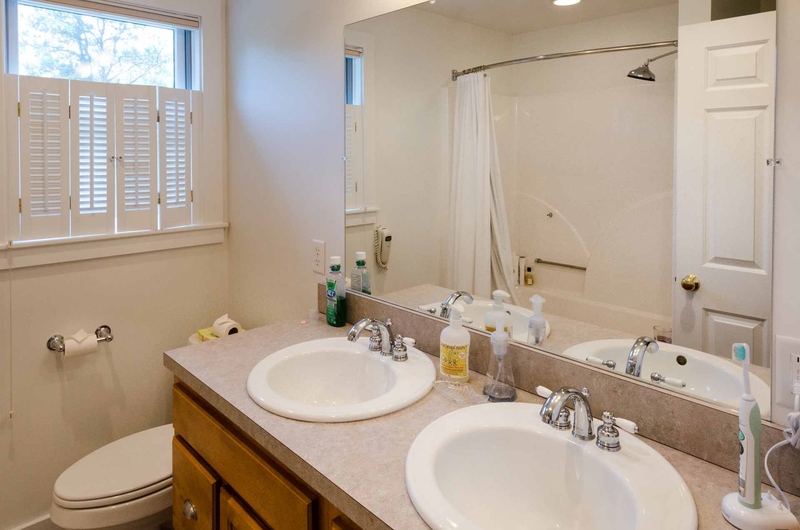 The Master Bedroom has a private en suite bath, while the two other Bedrooms share a full bath. 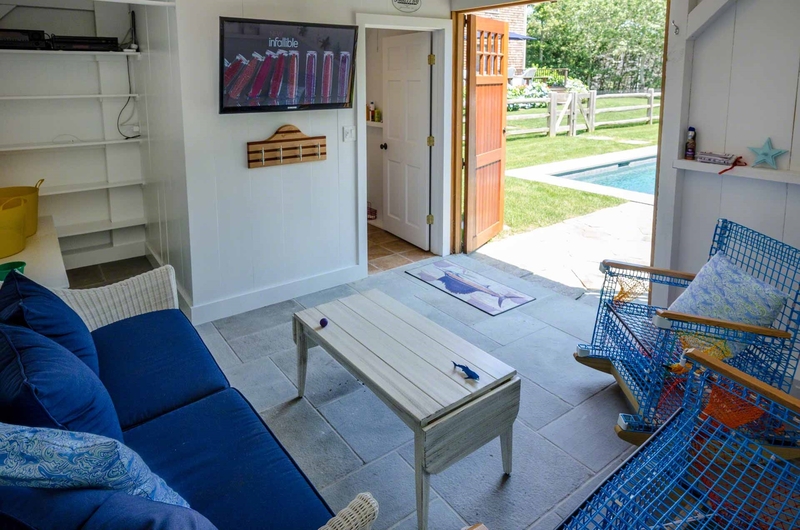 The lower level features TV/Family Room with media center, play area with wooden train set, an open sleeping area, plus full bath. 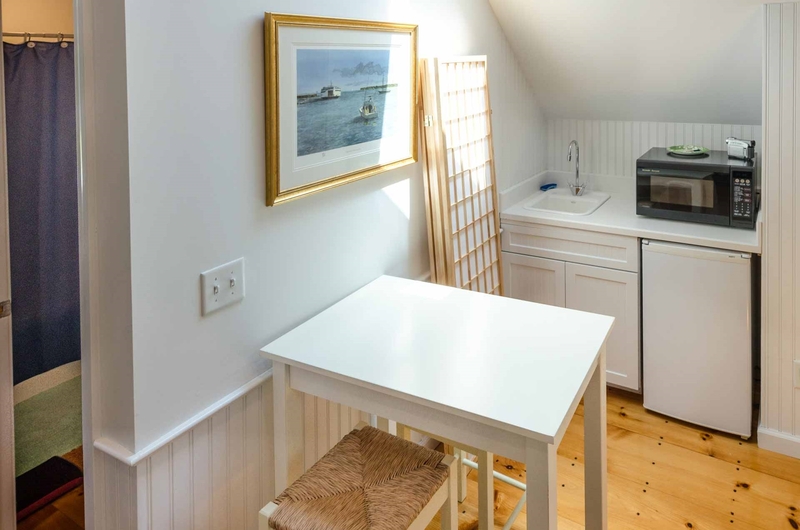 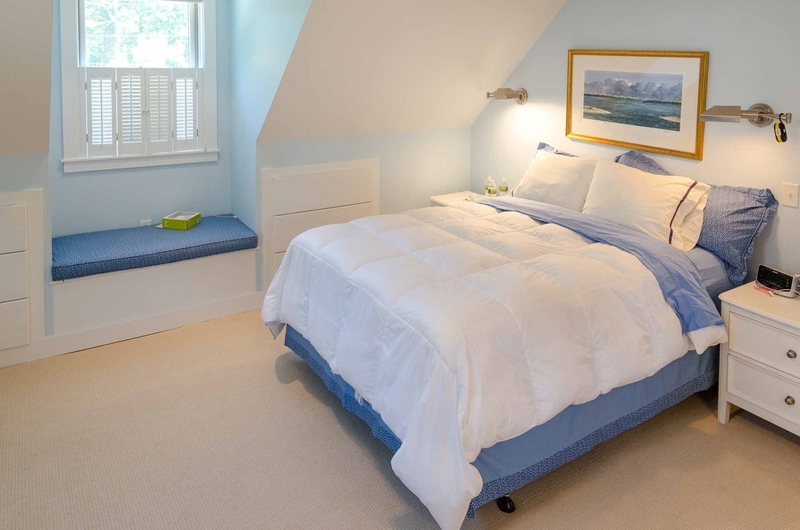 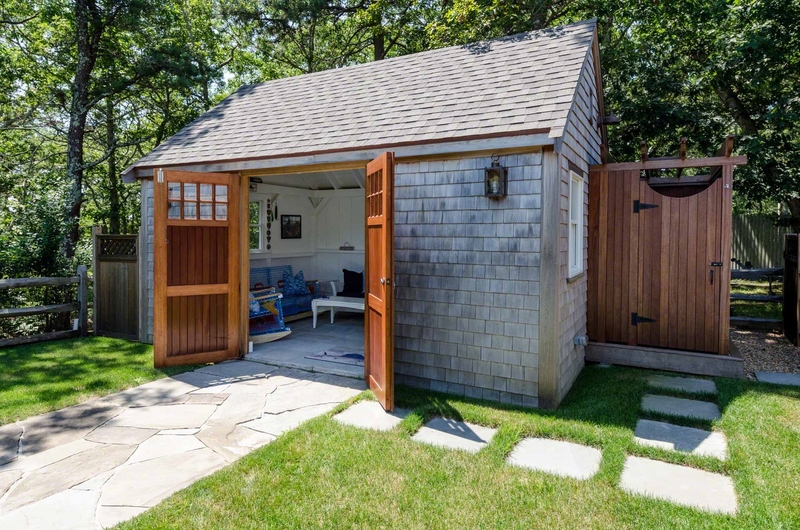 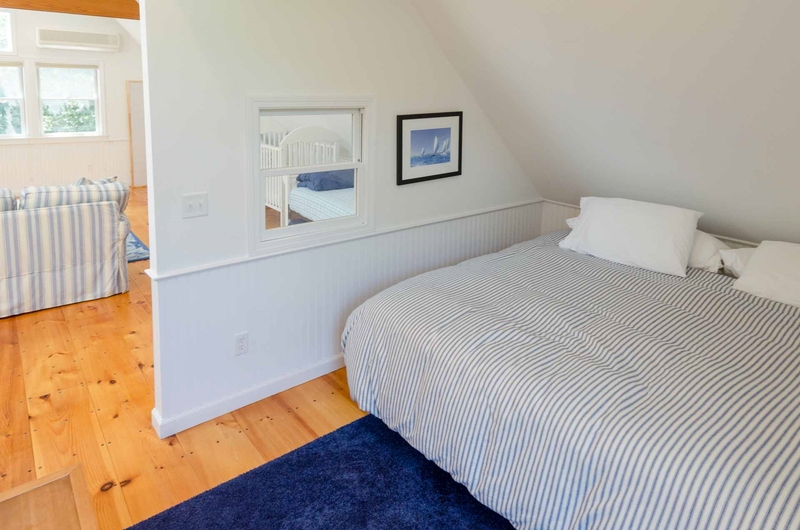 The Carriage House Suite is above the garage and connects with the Main House through a first floor breezeway with hooks for towels. 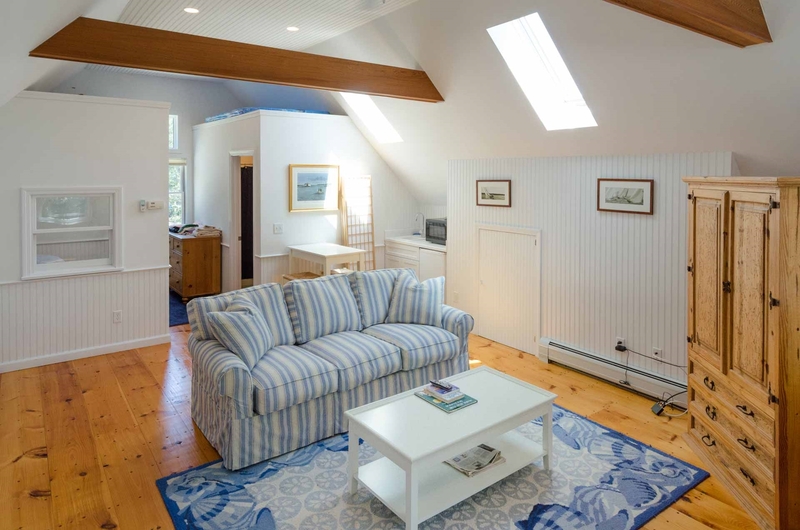 The Suite features vaulted ceilings with beams, bead board, open Living Area with Kitchenette (sink, under counter refrigerator and microwave), plus a Bedroom and full bath. 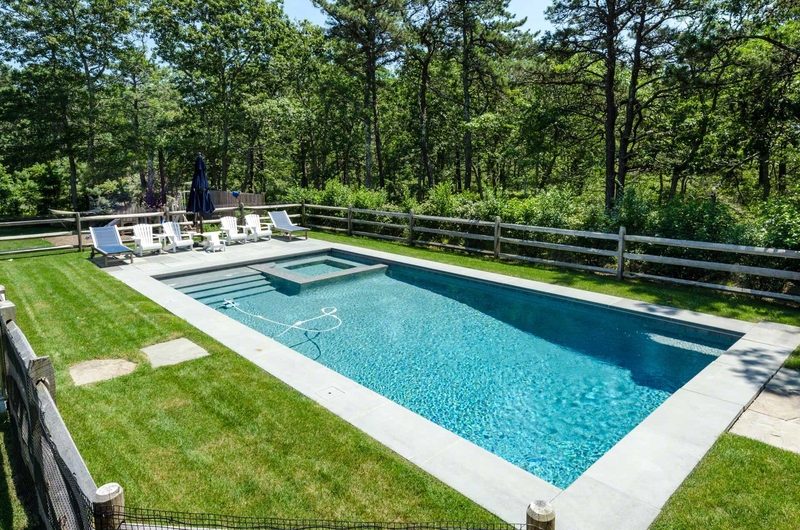 Outdoor living and entertaining centerrs around the 18 x 36-foot heated gunite pool and hot tub. 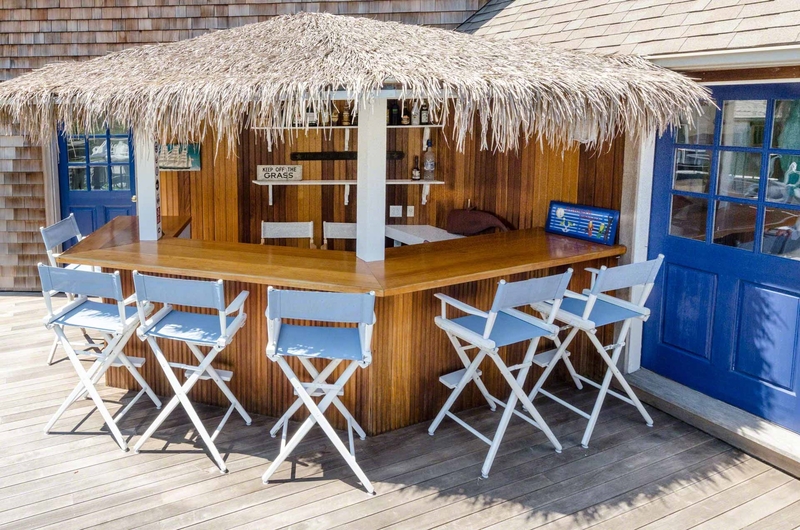 There is a bluestone lounge area, two outdoor decks, the Tiki Bar, and a Pool House that has indoor seating, TV, a half bath, and outdoor shower. 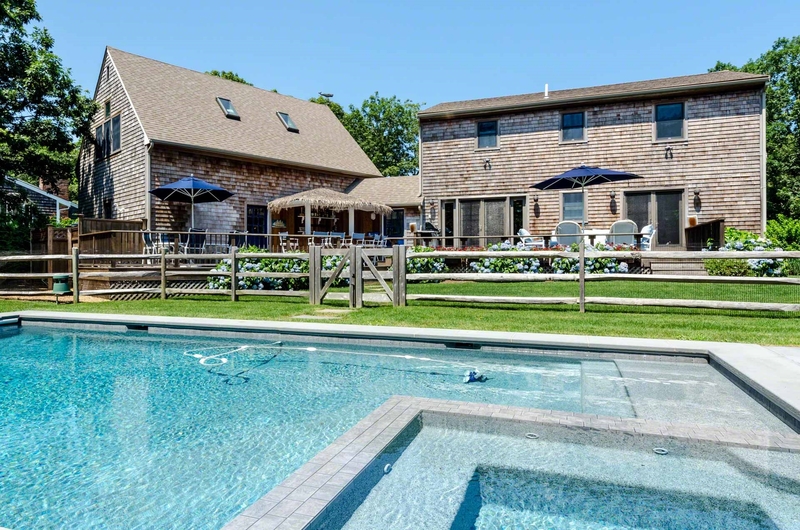 The house has nicely landscaped grounds and gardens, as well as a large backyard play structure adjacent to the pool. 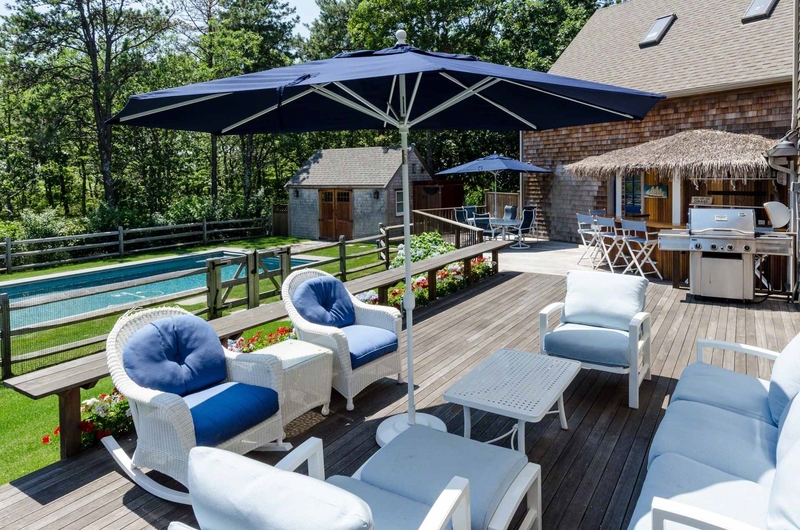 The property abuts the Vineyard Golf Club. 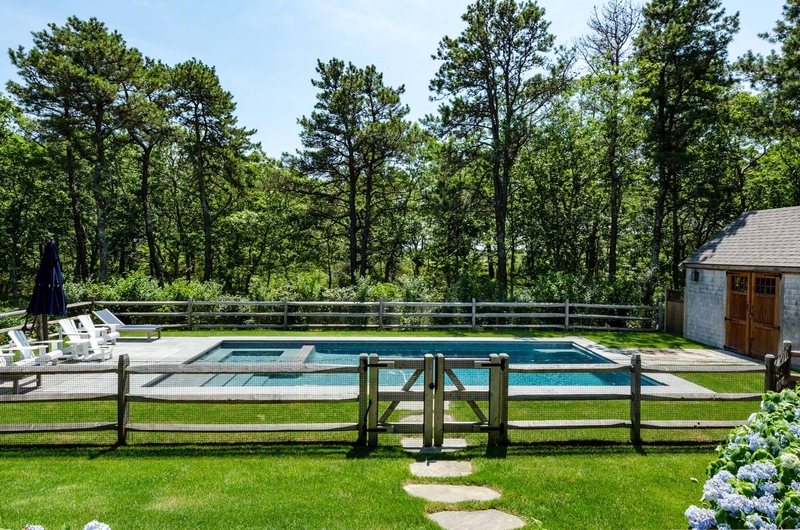 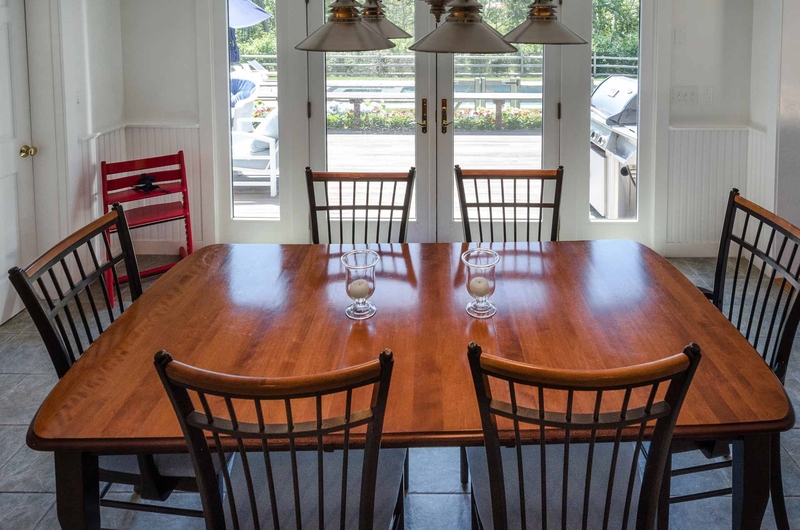 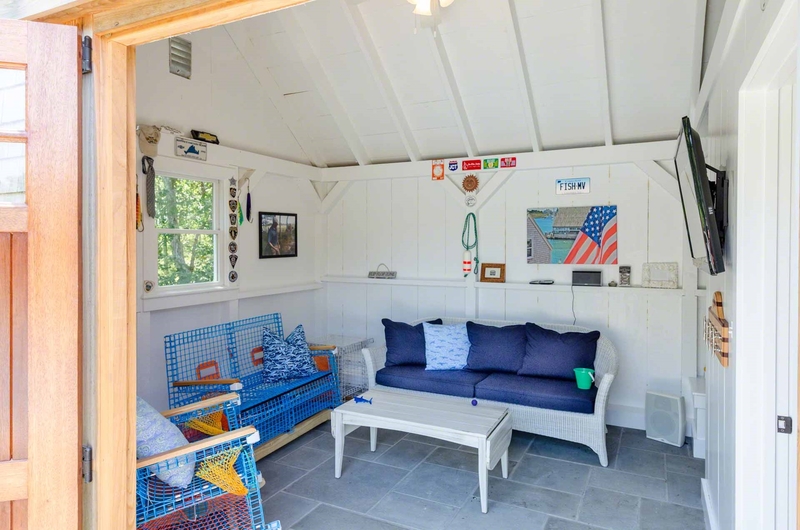 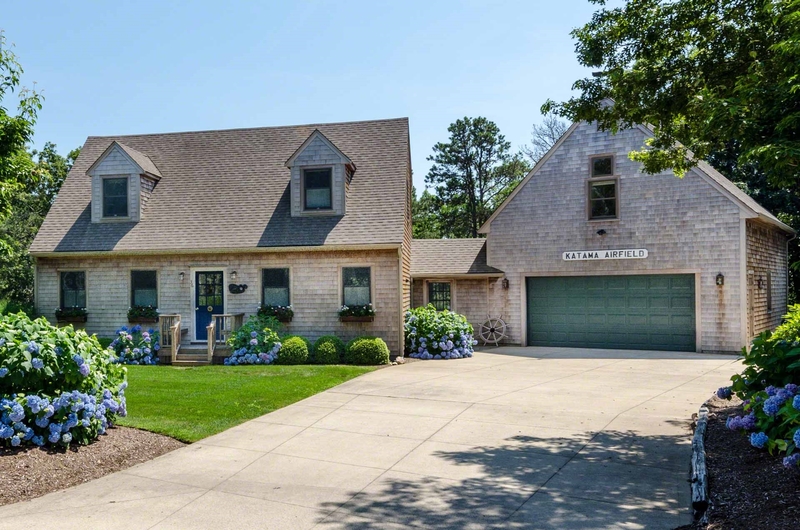 There is a country bike and walking path from the property that leads to Monring Glory Farm and the nearby paved bike path to Edgartown Village which is a mile and a half away.